The rapper is locked up and facing federal racketeering and weapons charges. TMZ has shared a video of Daniel Hernandez a.k.a. 6ix9ine allegedly arguing with Chief Keef's cousin Tadoe and ordering a hit on the Chicago rapper. Days after the video was recorded, allegedly in May, Chief Keef was shot at near the W Hotel in Times Square. 6ix9ine has previously denied having any involvement in the shooting. In the video, streaming below, 6ix9ine can be seen having an argument over Facetime with a person reported to be Tadoe. After a tense back-and-forth that touches on Keef's then-upcoming N.Y.C. show, 6ix9ine asks "You gonna be in your crib or [Keef's] hotel?" After he hangs up the phone, 6ix9ine says "Yo, I gotta thirty pack on him right now. Swear to God I gotta thirty pack. Thirty thou cash." It is unclear if this is a sincere order or just bluster, and whether 6ix9ine is referring to Tadoe or Keef. 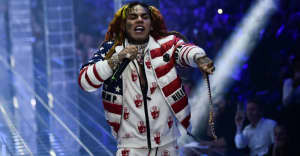 TMZ reported on Thursday that 6ix9ine had been moved to a unit in a federal facility typically used to house inmates who are cooperating with the government. Soon after his arrest, 6ix9ine's album Dummy Boy was postponed indefinitely. 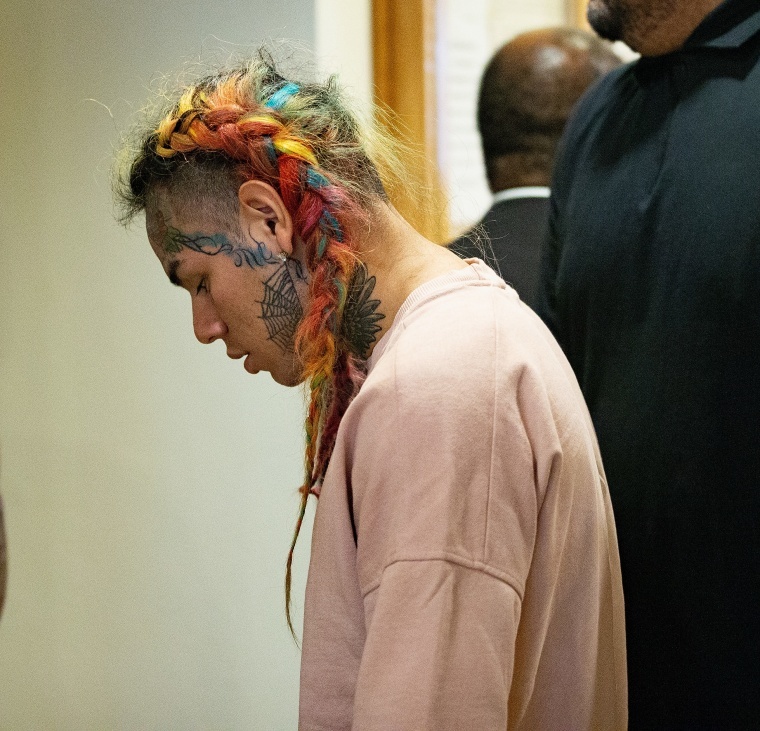 He was still on probation at the time, after a judge sentenced him to four years of probation and 1000 hours of community service after 6ix9ine's 2015 guilty plea for use of a child in a sexual performance. He also faces misdemeanour assault charges in Texas after allegedly choking a fan. The FADER has reached out to representatives for 6ix9ine and Tadoe for more information.